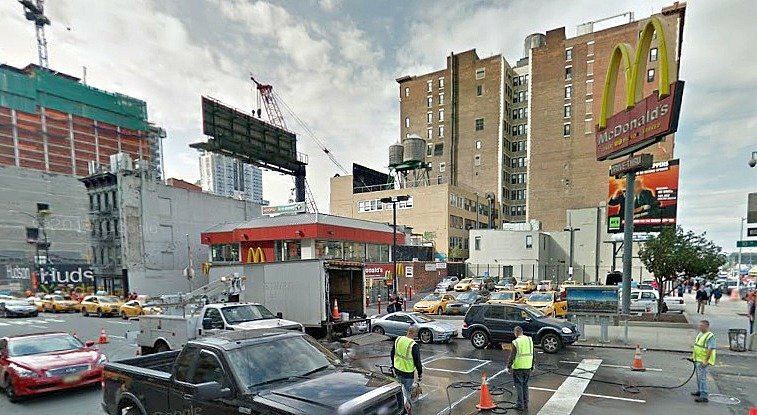 Crain’s reports that the Related Companies has bought the site of a McDonald’s at 34th Street and 10th Avenue for an undisclosed sum, the final parcel needed to build 50 Hudson Yards. The fast food chain has owned the property for decades, but at the end of last month, the company notified the state that it would lay off all of the location’s 65 employees by the end of 2015. Though no formal designs have been released for the corner lot, the developer’s website tentatively envisions a 2,300,000-square-foot commercial tower that would reach 62 stories and higher than 1,000 feet. Over the past seven years, Related has spent $200 million acquiring the other properties on the block, which is bound by 10th Avenue, the new Hudson Boulevard, West 33rd Street, and West 34th Street. 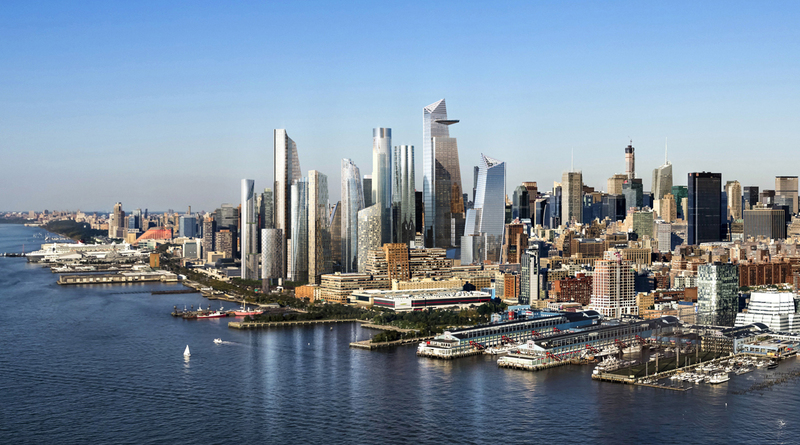 Crain’s also noted other Hudson Yards news, including that of 10 Hudson Yards, the 52-story tower where Coach and VaynerMedia will set up shop, which will top out tomorrow, the first building at the development to do so. 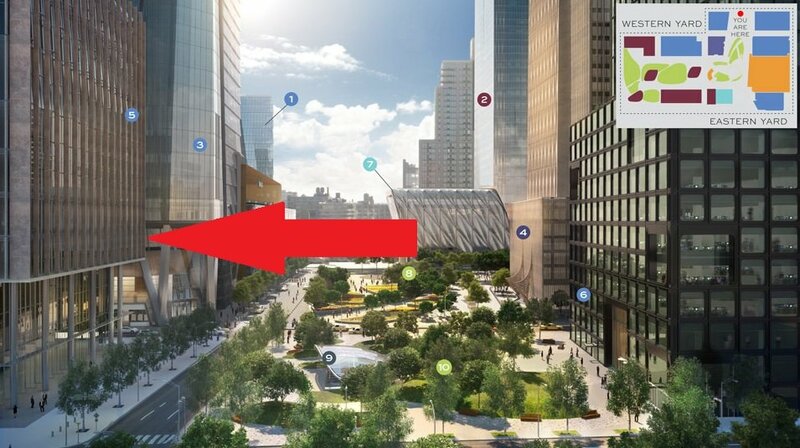 Construction is underway at The Shops & Restaurants at Hudson Yards, the one million-square-foot mall on 10th Avenue that will be anchored by Neiman Marcus, as well as 30 Hudson Yards, the 92-story tower that will boast the city’s highest outdoor observation deck.